Steve Ditko, Comic Book Artist Who Helped Create Spider-Man, Dies At Age 90 Ditko worked with both Marvel and DC Comics, helping to create iconic characters like Spider-Man and Dr. Strange. Steve Ditko is perhaps best known for his role in creating Spider-Man for Marvel Comics. 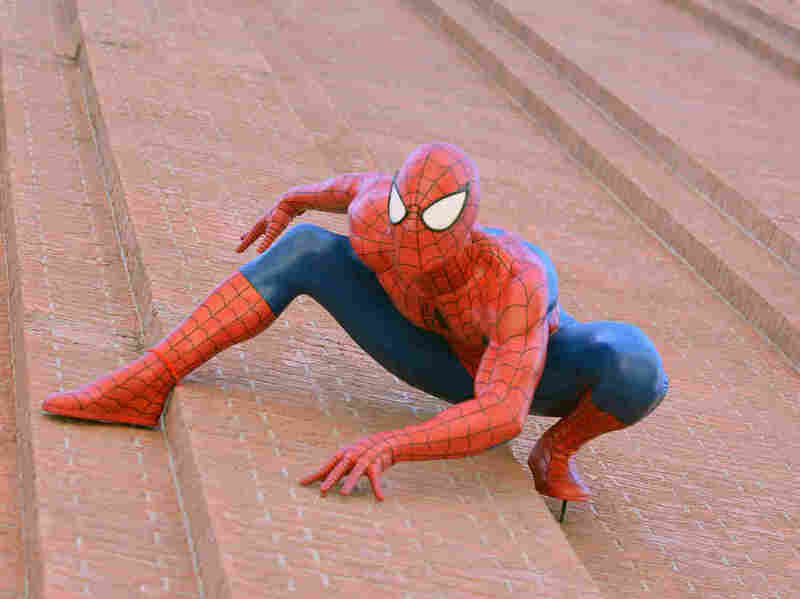 As NPR's Renee Montagne reported in 2015, their most famous creation was Spider-Man. In an interview with Montagne, Spider-Man co-creator Stan Lee described their creative process. Jack [Kirby] made him look very heroic and strong, but that isn't the way I wanted him – I wanted him to look like a typical, thin high school kid. He doesn't get all of the girls because of his athletic prowess. He's just kind of a shy high school kid who's a science major. And it was no big deal. I said, "Jack, forget it. I'll give it to someone else." And he was busy with a dozen other books, he didn't care. So I called Steve Ditko, and Steve gave him just the right look. And that's how Spidey was born. Detective Sophia Mason with the New York Police Department confirmed to NPR that Ditko was found dead in his home in Manhattan on June 29, after a friend hadn't seen him in a number of days and went to check on him. Mason said it isn't known exactly when Ditko died, but there were no signs of trauma. Only a small group of individuals can claim that they have effected and redefined not just an industry, but popular culture worldwide. Steve Ditko was one of those few who dared to break molds every time his pencil and pen hit a blank sheet of paper. In his lifetime he blessed us with gorgeous art, fantastical stories, heroic characters and a mystical persona worthy of some of his greatest creations. And much like his greatest co-creation, Steve Ditko's legend and influence will outlive us all. Unlike his collaborator Lee, Ditko did not publish memoirs and he rarely sat for interviews with journalists. Lee described him as a "private person." Others have called him a "mystery man." Ditko worked with DC Comics later in his career, creating characters including the Question, the Creeper, and Hawk and Dove. Jim Lee, publisher of DC Entertainment, said in a tweet that Ditko was "polite and unassuming." He went on to say that "he never sought attention or the limelight but in many ways represented the hidden hero he saw in all of us."